HERMETICA, says it is the first of its kind – a digitally focused fragrance brand, with 13 unique fragrances – that will be delivering internationally due to its alcohol-free fragrances. This hybrid formula, using unique patented technology - Innoscent™ - where synthetic molecules are extracted from natural source, developed by Symrise, is a first-ever in the fragrance industry. 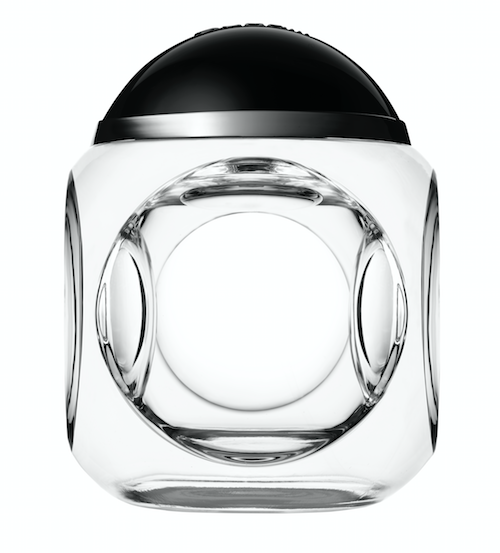 The alcohol-free formula reveals immediately the heart of the fragrance. The result of this modern-day alchemy is four collections of 13 long-lasting and powerful perfumes plus, Source1 – a unique scent that can be found in all of the fragrances. Each Hermetica scent is presented in an emerald green lacquered bottle with a golden metallic cap debossed with the Hermetica logo. 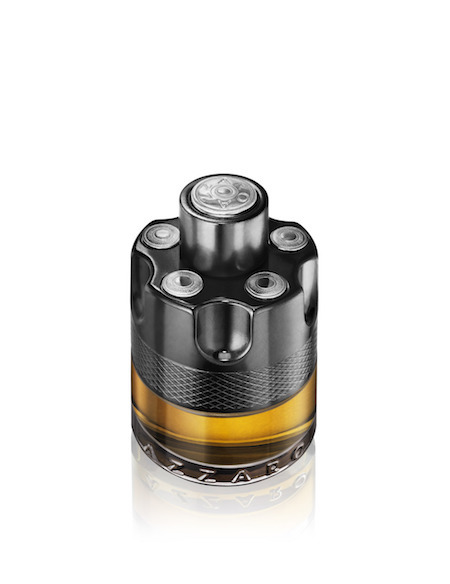 The bottle is housed inside a golden perforated cylinder reminiscent of the molecule that carries the perfume to your nose. TheChicGeek says, “When you’re presented with 13 fragrances it’s difficult to know where to start. There’s a random ‘personality’ questionnaire to go through on the website which asks you questions to help define your fragrance. Mine came out with ‘Source1’, which, funnily enough, was the first fragrance I tried from the box of 13. Lucky?! Maybe. The ‘Source1’ is found in each fragrance, ranging in concentration from 20 to 60%, and contains bergamot essence, amber and a fresh wood. They say because of the complexity of an alcohol free fragrance, this took more than two years to create, due to its new and innovative formula that enables the top and mid notes to appear instantly, revealing the heart of the perfume after the first spritz, making it unique to every individual. They offer a ‘discovery kit’, containing all 13 perfumes, and can be purchased through the website, allowing consumers to smell each scent, before buying; the cost is then offset against the price of a full priced fragrance. I was drawn to ‘Greenlion’ with its patchouli, juniper berry oil and amber wood, but there's so much good stuff here. This has the pedigree and is another welcome addition from the MEMO founders. I love the names and I’m still enjoying discovering them all. 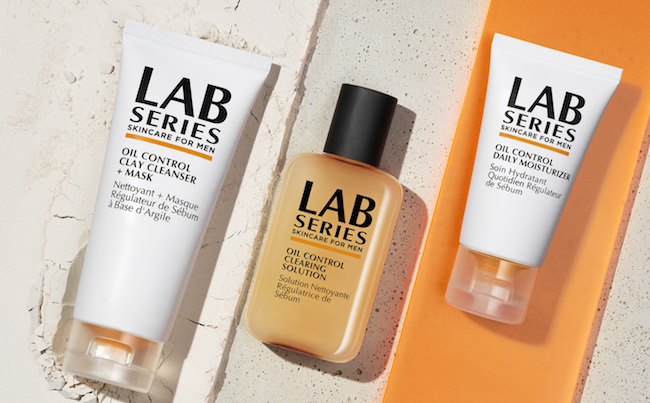 Lab Series’ three-step 8-Hour Oil Control System contains high-performance formulations meaning real improvement for oily, blemish-prone skin, both instantly and over time. The cleanser + toner + moisturizer system helps diminish oil that can lead to breakouts, blemishes, and generally shiny skin, delivering reliable efficacy. It provides instant mattification and 8-hour shine control. It gets oily skin under control by helping to regulate sebum production. And over time, it fades discolorations and improves skin tone. The advanced formulas feature Amazonian White Clay, heralded for its ability to deep clean and detoxify skin, helping to absorb and remove excess oil that can lead to breakouts. Additionally, a aalicylic/lactic acid blend includes alpha-hydroxy acids & beta-hydroxy acids, plus willow bark extract, to help gently slough away dead skin cells and purify the skin. TheChicGeek says, “This arrived at just the right time. I’ve currently been suffering from breakouts on my forehead, not helped by SPF clogging my pores, I’m sure, and needed something to dry out my skin. This is a classic 3-step skin care programme. I like the idea of the cleanser/mask combo. It means you can mix it up and the light white clay is a soft every day face wash and you can definitely feel it drying out the skin without it feeling overly stripped. The oil control clearing solution is simply applied onto a cotton pad, twice a day, and you use it to clean the skin. This is most satisfying before bed, when you’re taking the grime of the day off and especially sun cream this time of year. This feels like the part that is really keeping the skin clean and removing any excess oil and sebum. The final stage is the daily moisturiser. This isn’t a classic white cream, but an almost granulated, honey-type consistency. Containing more of the Amazonian white clay, it absorbs surface oil, while the salicylic and lactic acids help diminish the look of pores. 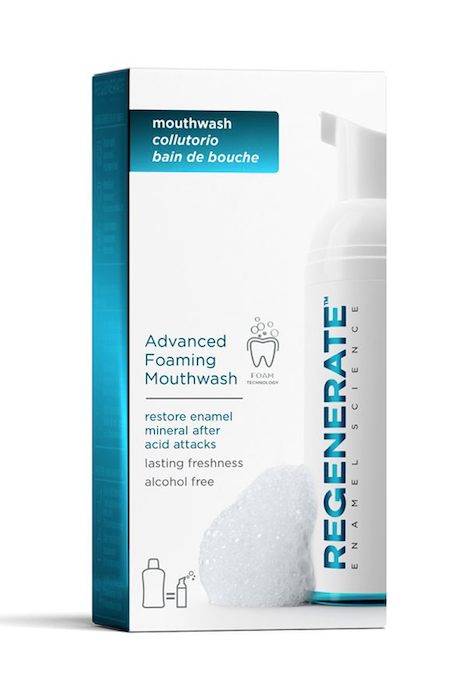 Following on from Regenerate’s toothpaste and monthly treatment serum - read TheChicGeek’s review here, we have the ‘Advanaced Foaming Mouthwash’. Developed to restore enamel mineral and reverse enamel erosion caused by daily acid attacks, the new ‘FOAM’ technology releases micro-bubbles that reach between the teeth and around the whole mouth. TheChicGeek says, “This is the first time I’ve heard of a ‘foaming mouthwash’. The small - 50ml - pump gently foams the product into your mouth. It recommends 3 pumps to then be swilled around the mouth for 30 seconds and says there’s enough in this bottle for 50 rinses. It also says you can use it up to 3 times a day. It’s a weird sensation. It’s very soft and, being room temperature, it feels like you want to instantly spit it out. You have to move it around your mouth and it has a minty taste with an after-taste which is almost soapy once you’ve spat it out. The foaming effect means you need much less than standard mouthwash and thus makes a smaller bottle last longer and, therefore is a believable travel product. You can imagine people using this after meals and carrying it around in their bags. You could use this instead of mouth freshener or mints. An unbelievably lightweight, water-jelly that delivers 24-hour hydration repair plus pollution protection. The 24-hour hydrator with Clean Shield Technology™ locks in the good—like moisture—and filters out the bad - pollution. The Clean Shield Technology™ is formulated with a moisture barrier blend of sunflower seed cake, barley extract and cucumber fruit extract to strengthen skin’s barrier, improve its resilience and balance and retain skin’s moisture levels. Hyaluronic acid acts as a natural moisture magnet/humectant. TheChicGeek says, “Are you ready for this jelly? 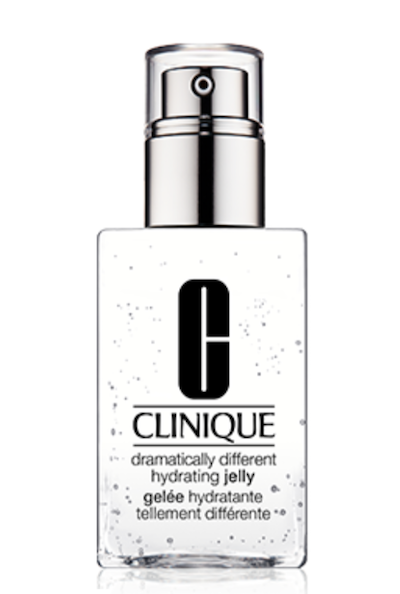 Hoping to leave your skin ‘Bootylicious’ is the new ‘Dramatically Different Hydrating Jelly’ from Clinique. ‘Dramatically Different' is one of the strongest brands in the mainstream moisturising category for women. Guys got the 'Maximum Hydrator Gel' last year - read TheChicGeek review here - which looks similar. This is a new clear jelly aiming to not just hydrate, but with the added benefits of protecting the skin against pollution. You’ll need this walking down Oxford Street. Just don’t breathe in! I asked whether it should be used differently on men’s skin, but they said just treat it the same. It’s really light, moves and disappears like water. This is a good everyday moisturiser that you’ll happily keep reapplying throughout the day. During this heatwave you’ll be tempted to put it in the fridge for a cooling effect. Just don't forget you SPF on top. 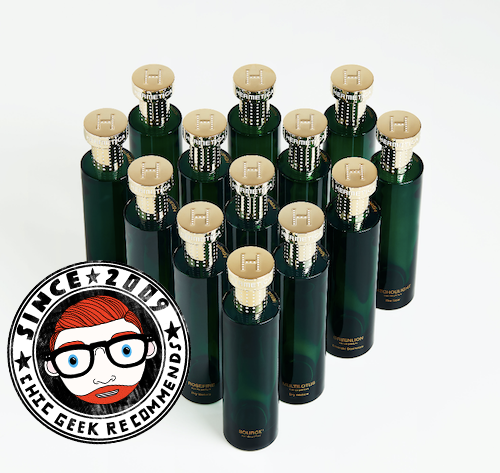 TheChicGeek says, “The last dunhill fragrance, 'Icon', back in 2015, set the standard for the modern range of dunhill men’s fragrances. I was a fan - see more here and four incarnations later, it’s time for something new. As somebody at the press launch said, this smells like a posh body wash. The type that stays on your skin in a soft, soapy and background kind of way. That's not to be derogatory and there are plenty of people who don't want shouty fragrances. This is very subtle and warm, with the mixture of neroli and sandalwood, and, pleasingly, is an easy wearer in a quality and sophisticated way. It's just not something you'll be able to pick out distinctively in a line-up, but it's still good at what it does. The bottle is one of the best I’ve seen for a while. It’s very Verner Panton - the designer was a major influence for SS19 - see SS19 Milan/Paris Trends Scrapbook here - and looks like a paperweight from the 1960s. It’s disappointing the magnetic, curved top doesn’t fit perfectly into the recesses on the side. This probably says more about me being on the spectrum than anything else! 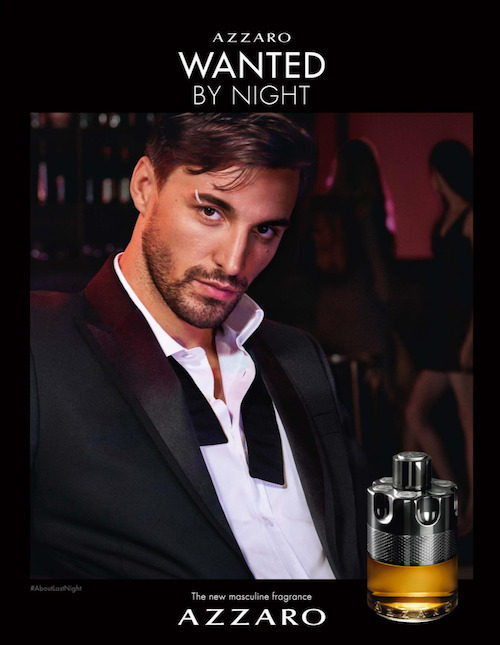 This is an accomplished fragrance from dunhill and makes their collection of fragrances some of the best packaged in the mainstream men’s market." 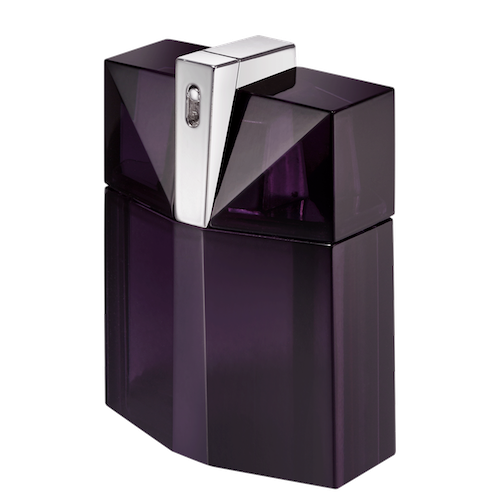 For Alien Man, Mugler has tried to reinvent the leather fragrance family by overdosing it and giving it an olfactory twist, an overdose of osmanthus blossom with apricot notes, paired with a woody base of smoked beech bark. The overdose of leather is triggered thanks to its pairing with cashmeran, a fresh, vibrant and spicy wood. TheChicGeek says, “With a name like ‘Alien’, you’d think the field was pretty open for something outer of this world. Something that was the opposite of natural and played with the idea of things or someone being in the wrong place. Alien Man is a bit of a let down, especially with me being such a big fan of the male Angel, A*Men. That bar was set pretty high. I don’t get the top at all, but the dry down is much more interesting. I’m getting dried grass with wet, white flowers and a peach or fruity element. Created by Jean-Christophe Hérault, the fragrance is centred around the flowers of the osmanthus scrub, used throughout East Asia for its scent and flavour, which is likened to apricot and peach. They could have had much more fun with the bottle. It’s a bit dark, shows all your fingerprints, and simplistic and the top squeaks as you spray.